To stamp out the outdated notions that still exist in advertising, DDB is shifting its focus to long-term goals and introducing three new themes for the agency: culture dwarfs category, feelings conquers thinking and long-term beats short-term. “There used to be three rules businesses would use to grow, including win your category, win the mind of your consumer and win today. But we have found winning your category is not as important because culture and fame trumps category,” Stromnes says. DDB’s three tiered strategy was inspired from research from Les Binet and Peter Field that found that fame and feelings work much harder for business than rational persuasion, as well as philosophies from Byron Sharp. With consultancies encroaching onto creative agency turf and media agencies expanding their remit, creative agencies are in a battle to stay relevant. Stromnes is confident DDB’s reposition will future-proof the agency. “The major threat to our industry is agencies are forced further down the food chain as others, like consultancies, move in,” he says. To remain competitive, agencies are reassessing both their models and remuneration. “The industry has given away their strategic thinking for the honour of making things for clients, which is the wrong model. We need to charge for the value of our thinking,” Stromnes says. 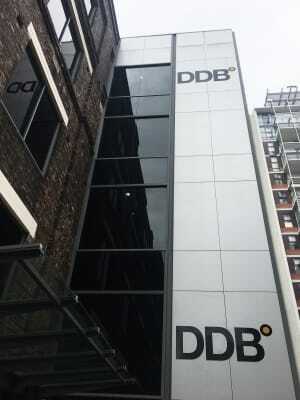 DDB was founded in 1986 by Doyle Dane Bernbach, Needham Harper. In Australia, it has created award-winning work for Sydney Opera House, Volkswagen and has worked with McDonald’s for over 30 years. The new positioning may be a significant shift for DDB, but Stromnes says the Australian agency won’t falter from its creative stature – with Sydney currently rated the third out of its 200 offices for its creative output. “We are going back to our principles but also recognising DDB needs to be doing famous advertising that moves people emotionally," Stromnes says. Quoting Bernach, he says creativity is still the last unfair advantage we’re legally allowed to take over competitors. DDB has invested $1 million on its new positioning and a suite of tools that aim to challenge the age-old paradigms that exist in the industry and refocus the agency’s commitment to consumers. Pioneered in Australia and New Zealand, the repositioning introduces the tagline and approach ‘Feeling conquers thinking’ in a bid to create "unreasonable growth" for clients - and itself. 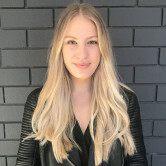 Speaking to AdNews ahead of the reveal, DDB Australia MD of strategy and innovation Leif Stromnes says the repositioning will flip the model on the way brands think about growth, with its clients McDonald’s, Volkswagen and Expedia already adopting the approach. “We live in a time of oversupply and under demand, which is a real problem in the industry. To come up with the repositioning, we had to consider how to build an in-demand consultancy business, which had creativity at the heart,” he says.